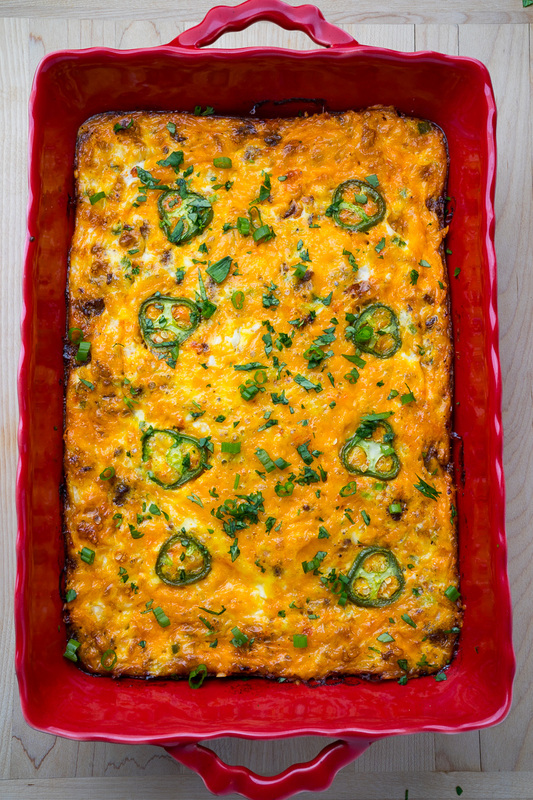 A tasty Mexican style egg breakfast casserole with spicy chorizo, cheddar and jalapenos! Easy, tasty and satisfying! 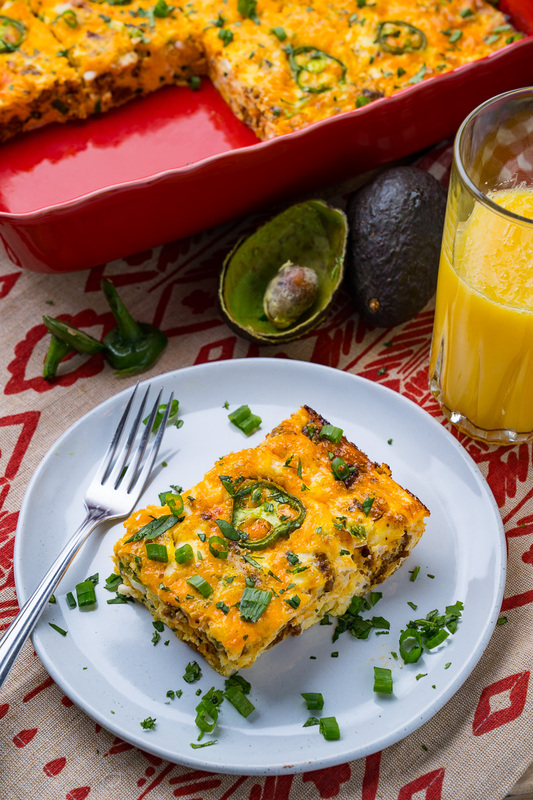 In general I prefer savoury breakfasts to sweet breakfasts and this Mexican style breakfast egg and chorizo casserole is the perfect example of a savoury breakfast! 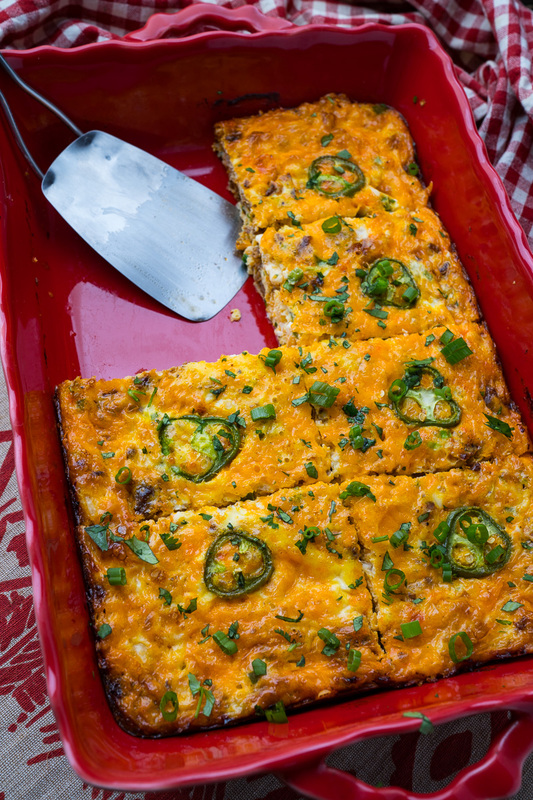 Breakfast egg casseroles are so easy to make and this one is no exception. 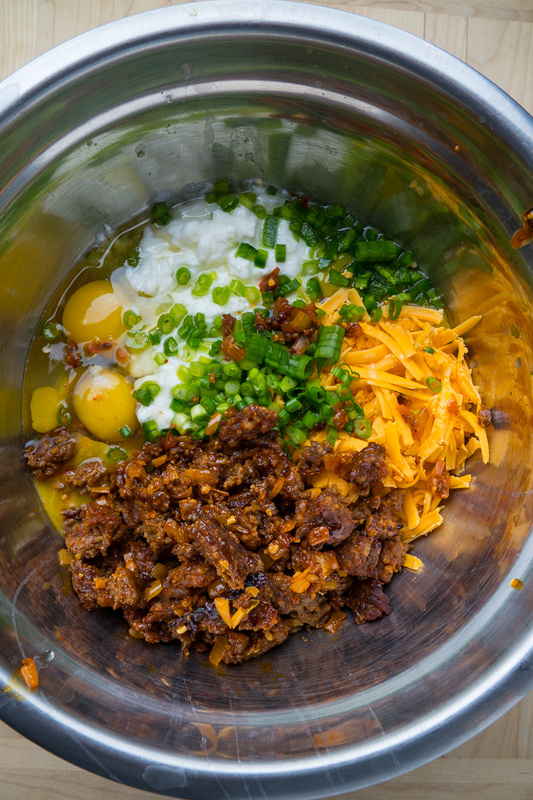 They start out with a lot of eggs, 12 for a 9×13 inch baking pan, along with a dairy, such as cottage cheese, and then whatever other filler and flavour ingredients that you desire! This casserole starts out with tasty Mexican style fresh pork chorizo sausage that is cooked along with onions and garlic. 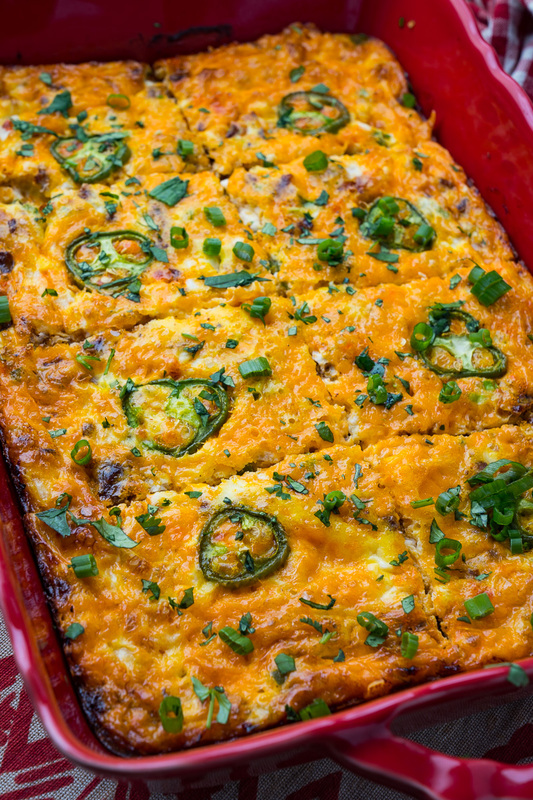 The sausage is added to the eggs along with cottage cheese, cheddar cheese, jalapenos, green onions and cilantro before being poured into a pan and baked until set. 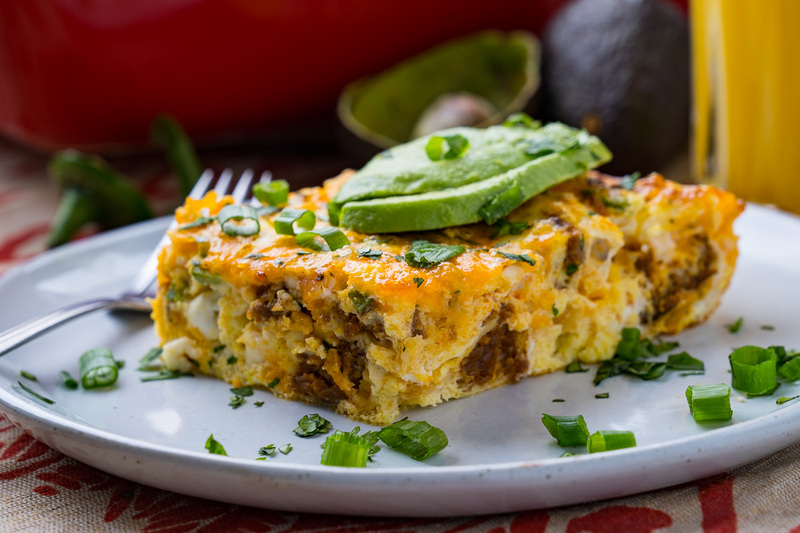 This is one of the tastiest breakfast casseroles around and I like to eat it both when its still warm from the oven or straight from the fridge as leftovers, which can also be warmed up. 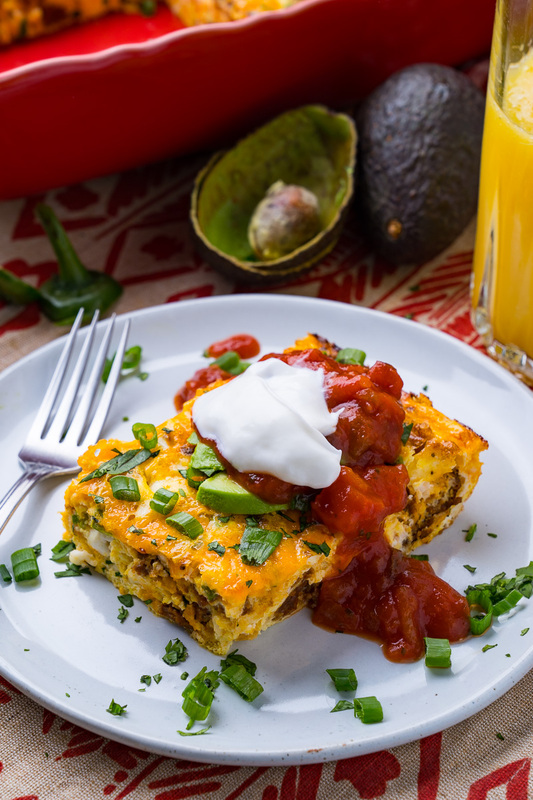 I like to serve topped with salsa, avocado and our cream! Cook the sausage and onions in a pan over medium-high heat until cooked, breaking the sausage into pieces as it cooks, before adding the garlic and cooking until fragrant, about a minute. 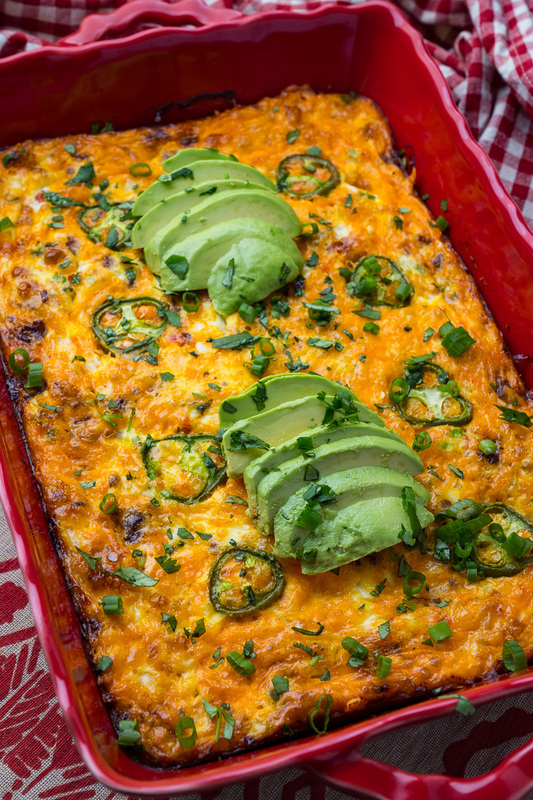 Mix all of the ingredients and pour into a greased 9×13 inch baking pan and bake a preheated 350F/180C oven until the eggs are set and the top is lightly golden brown, about 25-30 minutes. Let cool a bit before slicing and serving! Option: Replace the chorizo sausage with Italian sausage, or breakfast sausage. Option: Serve topped with sliced avocado, and/or salsa, sour cream, queso fresco, etc. Option: Add extras like diced bell peppers, tomatoes, black beans, etc. Which store do you buy your chorizo from?